Both anodizing and hard anodizing can be performed as bright dip and satin anodizing. Adruu is one of the few companies in Europe that is capable of bright dip anodizing. 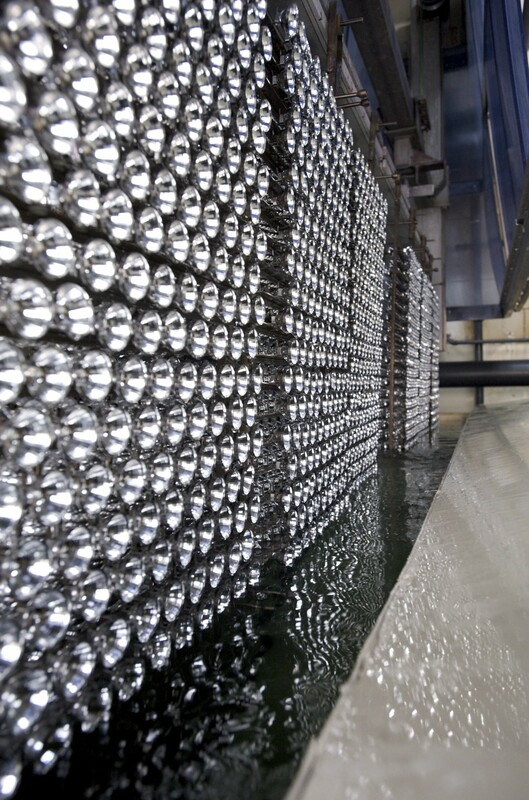 Bright dip anodizing uses chemicals to make aluminium parts highly reflective and give them low coefficients of friction. This makes bright dip anodizing, also known as ‘chemical brightening’ ideal for functional machine parts, reflectors, cosmetic and other parts. Bright dip anodizing and satin anodizing of aluminium are often combined with pre-machining operations like high-gloss polishing, grinding and blasting to achieve the best looking results. Adruu can accurately measure gloss values using a reflectometer. The dimensions of the bright dip anodizing bath are 4000 x 1000 x 500 mm. Adruu also has a satin anodizing bath.